In Game Design, we learn basic video game coding concepts by making different types of games. Games let people have fun, practice a skill, learn about a problem, or even get rewards for good habits! We will then design our own game, build with our club friends, and share! Bring your friends! No previous computer experience is necessary. Have your friends join too - the Creative Coding club is social and fun! Create and share your own musical creations! Use the computer to play musical notes, create a music video, build an interactive music display and learn how technology is used to make music. Bring your friends! No previous computer experience is necessary. Have your friends join too - the Creative Coding Music & Sound club is social and fun! Participants are able to immediately apply what they learn about electricity science by making and taking home a light-up card that is personally meaningful to them. Students will be introduced to coding and circuitry concepts with the MakeyMakey circuit board to construct custom-coded electronics. Students will be able to experience being the creators, and not just the consumers of technological inventions. Learn about open source and gets hands-on with git and GitHub. Get snapshots of your project throughout time and share your project on the world wide web so that anyone can work with you on it! Create and share your own digital stories! Use the computer to design your own stories, create and share your own animations, and learn how technology is used in the film and media industry! Bring your friends! No previous computer experience is necessary. Have your friends join too - the Creative Coding Storytelling club is social and fun! 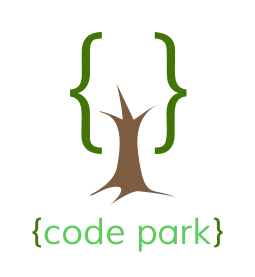 Your email will only be used for the Code Park newsletter.